Akihahara （秋葉原、あきばはら） is the central place of Japanese young culture. General people will think Akihabara is the place where only geeks and otakus can find pleasure in, but Akihabara nowadays offers pleasure for everyone as well. Certainly, there are a lot of stores specializing in electric appliances and otaku goods in Akihabara, but most of them welcome ordinary people (of course including foreigners! ), and Akihabara is not insular place. 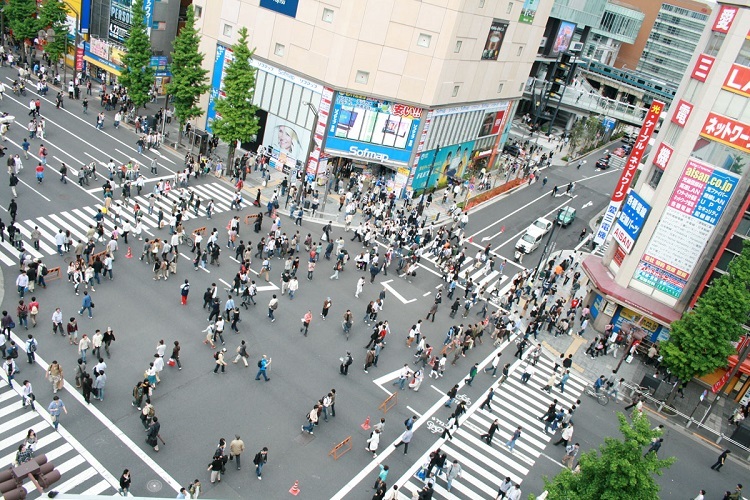 Besides, the main street in Akihabara, Chūō street, is restricted every Sunday (13:00~17:00) because of tourism promotion, and only pedestrians can pass through the street. The amin street is very crowded with people including cosplayers, and the view is just like a little festival. 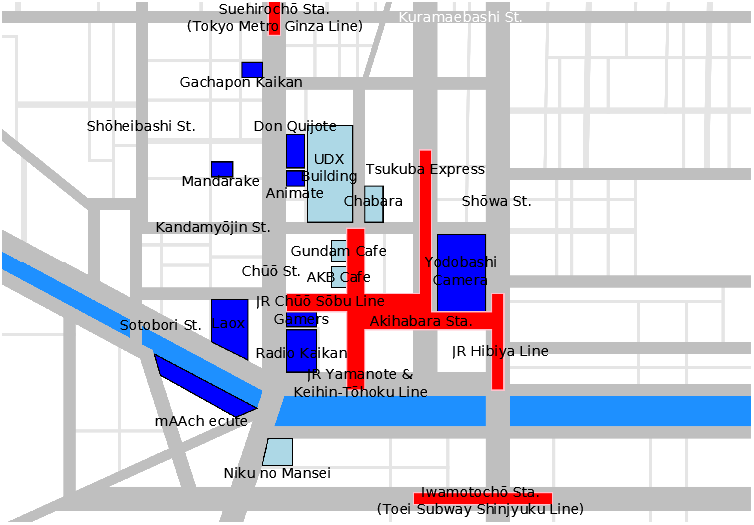 Also, lots of restaurants open in Akihabra. For example, 30 restaurants open in UDX building, and half of them specialize in Japanese cuisin (mainly, Japanese-style bar). Under JR railway viaduct, Chabara （ちゃばら） that sell Japanese traditional products and foods is located. Besides, if you want to eat ramen, we recommend you visiting Akihabara because more than 50 ramen restaurants open in Akihabara. The side roads of the main street are crowded with ramen restaurants, and you can choose plentiful kinds of ramen. In addition to that, Akihabara includes clothing stores, cafes, game centers, and other unique shops, so Akihabara is often selected as tha place of dating by Japanese young couples. 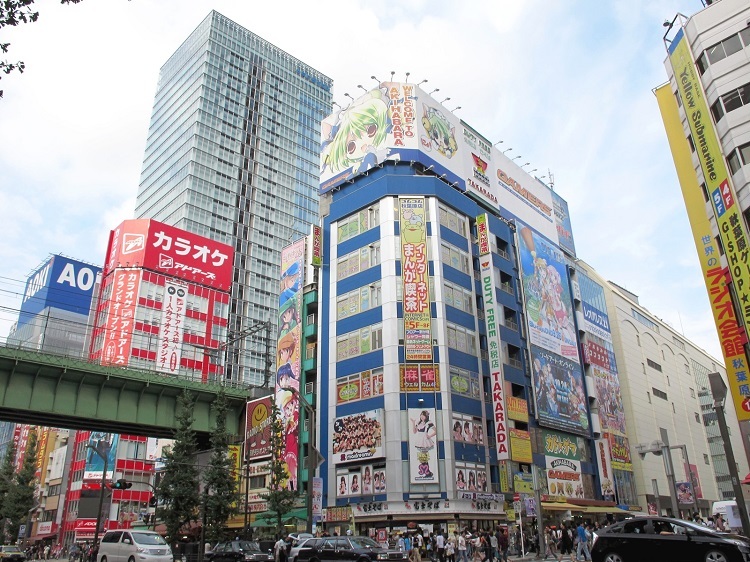 Like that, Akihabara is enjoyable sightseeing spots for everyone, and we recommend Akihabara as the place where you foreigners expelience Japanese young culture. 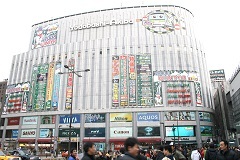 Yodobashi Akiba is the largest electric appliance store in Akihabara. 1F~6F are selling area for electric appliance, and you can buy almost all things what you want to buy. Also, 8F is restaurants floor, and various kinds of restaurants including Japanese restaurants open. Business hours: It varies by shops. 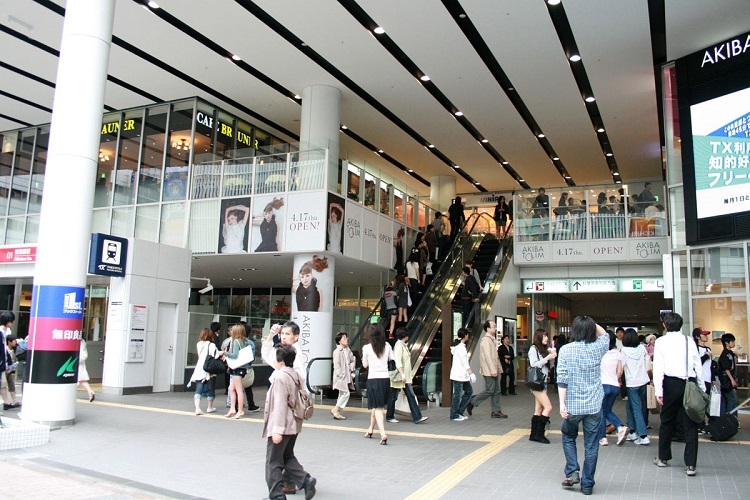 Radio Kaikan is complex of shops that sell electric appliances and otaku goods. Radio Kaikan was open in 1950, and one of the factor that made Akihabara famous as an electric and otaku town. Therefore, its characteristic neon sign is regarded as the symbole of Akihabara. 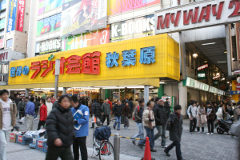 Radio Kaikan includes K-BOOKS that handles secondhand anime goods and fanzine (dōjinshi), JUNGLE that specializes in antique toys, and famous trading card shops. 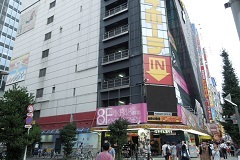 Akihabara UDX building includes showrooms and many restaurants. On upper floors, there are galleries and conference holes, and exhibitions related animations, games and IT industry are sometimes held. On lower floors (1F~3F), more than 30 restaurants open. Each restaurants offers food from each country around the world, and of course you can enjoy Japanese traditional food, sake (Japanese rice wine), and creative cuisines. Chabara is shops and restaurant that offer Japanese selected food with high quality. In Chabara, there are three shops; Nippon department store shokuhinkan （日本百貨店　しょくひんかん、）, Yanaka coffee （やなか珈琲店）, and Kamakura fushikian （鎌倉　不織庵）. Syokuhinkan sells Japanese local and rare foods. In Yanaka coffee, you can have aromatic coffee made from freshly ground coffee beans. Aloso, fushikian offers shōjin cuisin (Japanese vegitarian diet for buddhists). In Niku no mansei building, there aer 7 restaurants spcializing in ceef dishes. Each restaurants has its specialty, and you can eat beefsteaks, hamburgs, syabusyabu, skiyaki, yakiniku, yagyu beef, and other kinds of beef dishes. All restaurants offers their lunch menu with relatively low price between almost 11:30~15:00. Don quijote is huge discount chain store. 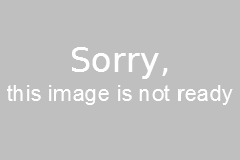 This store deals in costume play goods, electronics, food and drinks, groceries, clothes, and daily necessities. A famous maid cafs, @home cafe, is on 5F. 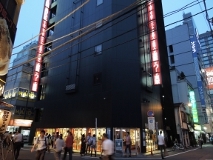 Also, Akihabara48 (AKB48) Theater is located on 8F, and the peformance is held weekday. Mandarake is one of the largest store that sells secondhand mangas, fanzines (dōjinshi), figurines, and anime goods in Japan. The lineup of goods is very large, and you can get almost all goods related anime and games in Mandarage.